Tired of searching for Elegant Themes coupon code? Frankly, they don’t offer any, but they are offering a 20% OFF Elegant Themes Divi discount for a limited period of time. It’s is their anniversary sale and this offer is valid for new Sign-ups, Upgrade, and renewals. Elegant Themes has turned 11 years old and that’s the reason they are offering a 20% discount on their pricing plan. Generally, they offer a 10% discount throughout the year, but this time it’s a flat 20% discount. What is the Divi Theme & Divi Builder? Which Elegant Themes Pack Is Best For You? Elegant Themes is one of the best WordPress theme package founded by Nick Roach 11 years back. This is one of the most popular & downloaded theme bundle. They have more than 80+ premium WordPress themes and more than 5+ awesome WordPress plugins. But, they are mostly known for their Divi Theme builder. So far more than 5,00,000 people have created their websites using Elegant Themes. Every year, you will get this Elegant Themes discount during their anniversary. This is a flat discount on their pricing plans, no Elegant Themes coupons required to get this flat 20% off on premium WordPress themes & plugins. Divi is a revolutionary product from Elegant Themes. They have created this awesome drag & drop theme called Divi framework. And later on, they have enhanced the power of Divi and convert that into a visual page builder plugin. This is the best time to grab this Divi web design coupon offer, to grab Divi builder with 80+ premium WordPress themes from Elegant Themes. You can enjoy editing the themes as per different blogging niche. If you are into a WordPress theme customizing business, then this Elegant Themes sale is the best time to grab this product. No need to apply any Divi coupon code, as Divi builder is a part of Elegant Themes only. Elegant Themes offers 2 different subscription option. You can buy a single theme or plugin from Elegant Themes. You have to buy the entire theme bundle or you can say Elegant Themes package. Although the $89/year looks promising, if you are smart enough you should get the lifetime access by paying the one-time fee. You will get this default discount entire year, you can use the special links below. It’s simple, Elegant Themes is one of the most trusted WordPress theme providers and they are into this business from last 11 years. So, you can trust in their work and make sure to get their all future updates & creation for free of cost. Throughout the year, Elegant Themes offer a nominal 10% discount. But during Elegant Themes Anniversary Sale 2019, they are offering a 20% discount on their both subscription plans. You can click on the respective links below and avail the offer instantly. Note: This is a special promotional offer and will be valid for a limited period of time. This Elegant Themes anniversary offer will valid till 28.03.2019 only. But, don’t worry as after that also you can avail some discount on Elegant Themes pricing plans. Use these links below to avail regular Elegant Themes Divi discount. 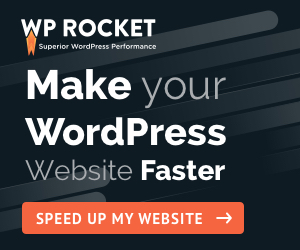 You don’t have to worry about much while investing for premium WordPress themes. Without any doubt, Elegant Themes is one of the best WordPress theme package. In case you are looking for best Elegant Themes alternative, then I can suggest you check the StudioPress Pro Plus All-Theme package ($100 OFF Sale is going on). Hope you will find these Elegant Themes deal a great opportunity to grab Divi builder at a discounted price. The demand for visually appealing content is high, and this Divi builder discount is your last chance to save 20% on Elegant Themes. Hurry up now. Did not get you, brother.